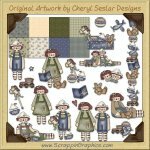 This collection of prim graphics is perfect for all different kinds of projects. 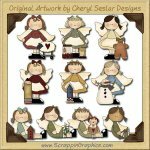 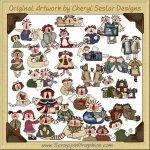 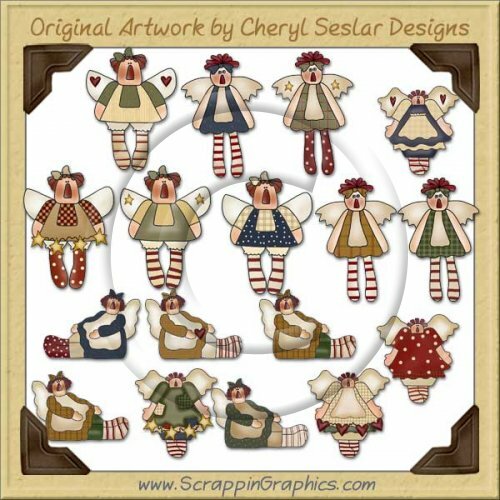 This set includes 38 different graphics : 11 coordinating backgrounds, 10 coordinating frames, 17 various Raggedy Annie angels. 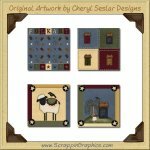 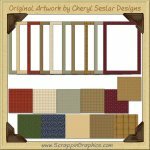 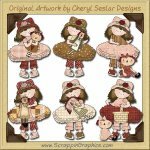 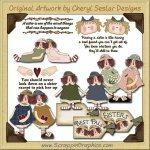 Great collection for making children's scrapbook pages, cards, labels, tags, invitations, and other printables.